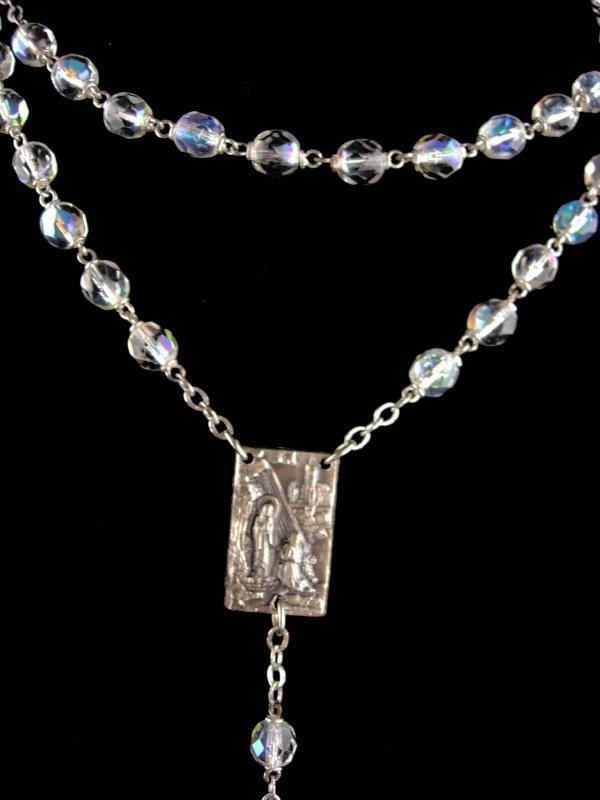 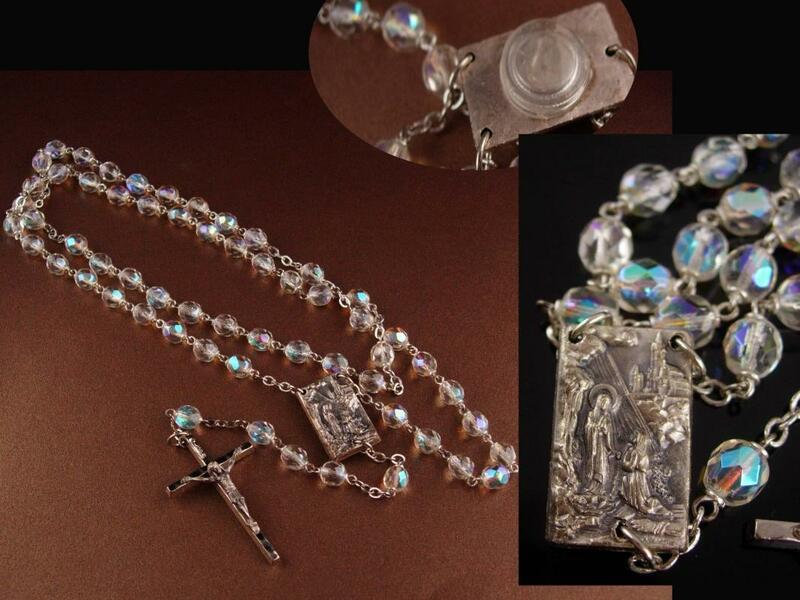 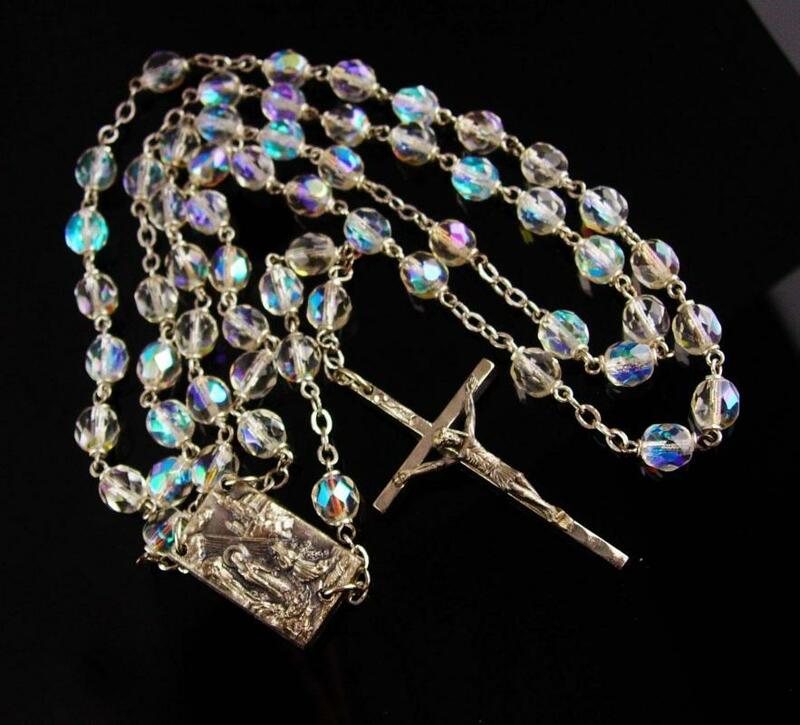 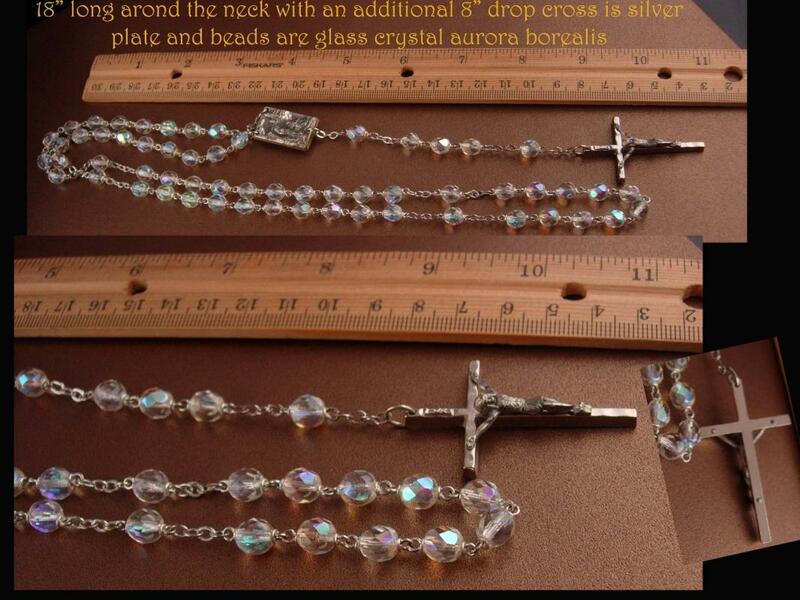 Imagine the wonderful history this Rosary must have had at one time! 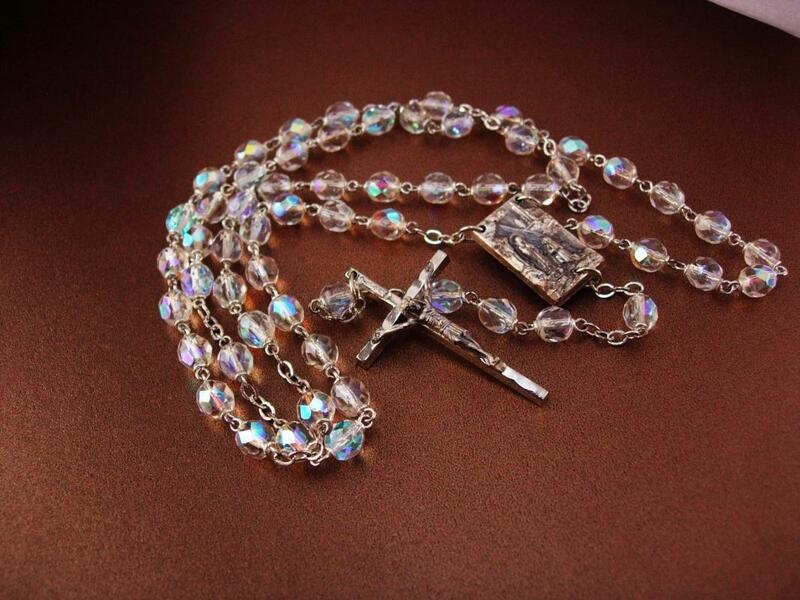 The beads sparkle with fire and it is quite ornate! 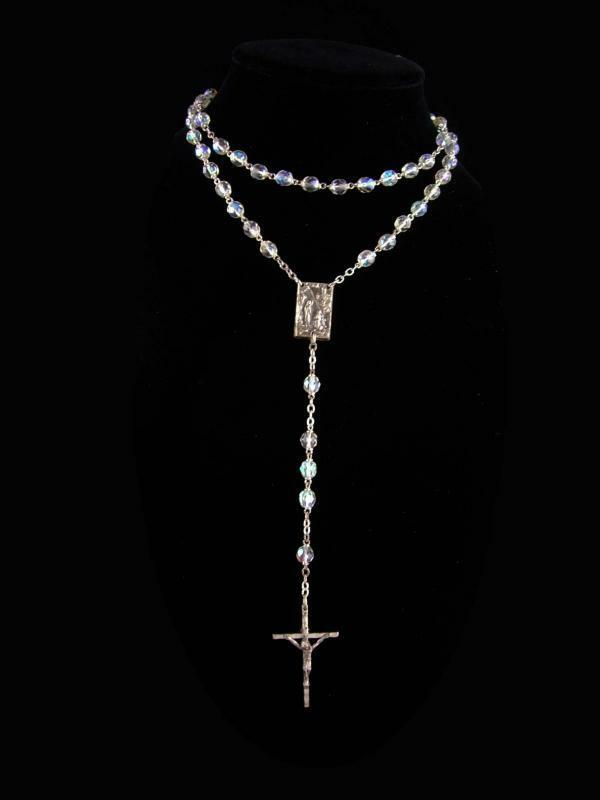 Well kept and loved.